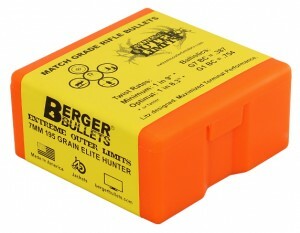 We are excited to announce that the new Berger 7mm 195gr Match Grade Extreme Outer Limits (EOL) Elite Hunter is now in the public testing stage. This bullet was inspired by Bob Beck, host of EOL, and designed by Bryan Litz. 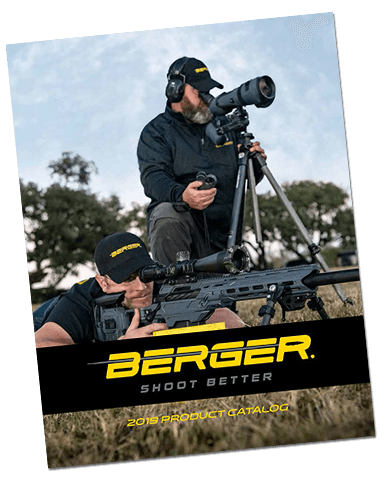 Bob and EOL are building rifles that are capable of shooting extremely aggressive bullets, so Bryan and Berger Bullets have risen to the challenge of producing such a bullet. The 195gr EOL bullet has the highest ballistic performance of any 7mm bullet currently in existence, and is truly the first of its kind for a number of reasons. 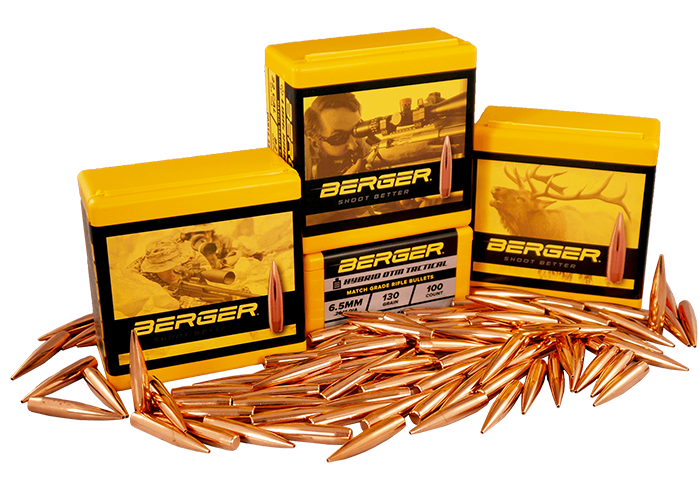 The actual form factor of the 7mm 195 grain Elite Hunter is among the lowest offered by any Berger Bullet, beating the G7 drag standard by 11%. 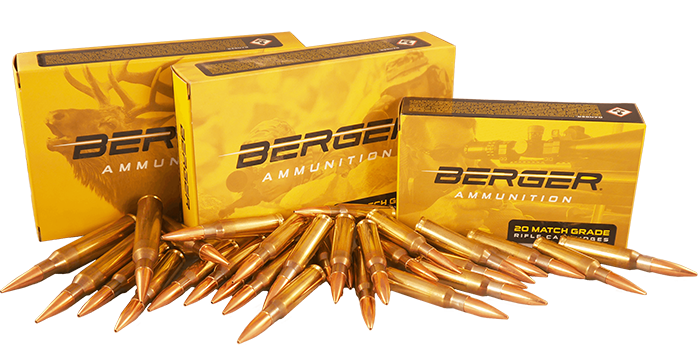 Combined with the high sectional density, this bullet has a G7 BC of 0.387, which is 5% higher than the Berger .30 caliber 230 grain Target Hybrid! Due to the extremely low drag profile of this bullet, the G1 BC varies a considerable amount across the velocity spectrum. Above 3000 fps, the bullet is flying with a G1 BC of 0.814. As it slows to 1500 fps, the G1 BC falls to 0.706, for an average of 0.754 from 3000 to 1500 fps. This performance data is the result of live fire testing. Stability requirements for this bullet are not as radical as you might think. In most conditions, a 1:8.3” twist is adequate for full stability. If you’re concerned about stability, a 1:8” twist would have you covered in any circumstance. Remember, slightly marginal stability can result in a couple percent reduction in BC, but the precision of the bullets will be unaffected until the stability factor (SG) drops below 1.1. Visit the Berger Bullets online stability calculator to further explore the stability requirements of this bullet in your expected environment: https://bergerbullets.com/twist-rate-calculator/. Learn more about rifle bullet stability HERE. Some of the better known heavy hitters in the 7mm family. 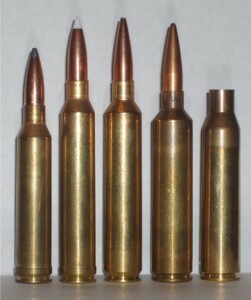 Left to Right: 7mm Remington Magnum, 7mm S.T.W., 7mm Remington Ultra Magnum, 7mm Allen Magnum and 338 Lapua Magnum case which is used as the parent case for the 7mm Allen Magnum. Originally designed to drive the 200 gr. ULD RBBT Wildcat Bullet to 3300 fps, the 7mm A.M. far exceeds the performance of all other 7mm magnums on the market today. This is a hunting bullet with a thin jacket which provides reliable expansion on impact down to 1800 fps. With the long bearing surface and high pressure magnums that we anticipate this bullet being fired from, questions about the bullets survivability were a concern. Kirby was kind enough to run this bullet through its paces in some of his rifles. Long story short, the 7mm 195 grain Elite Hunter survived being fired at over 3300 fps! The bullets were accurate and impacted targets at long range with dope predicted by the measured BC. Though these tests were comprised of relatively short strings of fire (2-5 shots), we’re confident they will survive longer strings from more normal cartridges on longer strings of fire. We are excited about these bullets and confident that they will be successful. However, there are a couple of very important things to keep in mind. This bullet is currently being made ONLY in our Elite Hunter configuration. It is made using our thinner jacket to produce the best possible terminal performance. If these bullets are successful, then our plan is to also produce a Target version with a thicker jacket. We know that many shooters are excited to try these bullets in target competitions. Our hunting bullets are held to the same tolerances as our target bullets, but do have a thinner jacket (read HERE for more information). They are not target bullets, which are built to withstand the speeds and pressures that our target shooters demand. So if you plan to use these in your target rifles, please test them thoroughly BEFORE you go to a major competition. We will be very interested in hearing from those who received bullets from our first run. The future of this bullet will depend on their results.